Finding Love on the Journey 一场遇见爱情的旅行 (lit.) is an upcoming road-trip romance drama starring Jing Tian (The Glory of Tang Dynasty) as Li Xinyue, a white collar worker who is under the watchful eye of police after she goes out of her way to buy Dear, a painting by renowned artist Chu Hongfei. 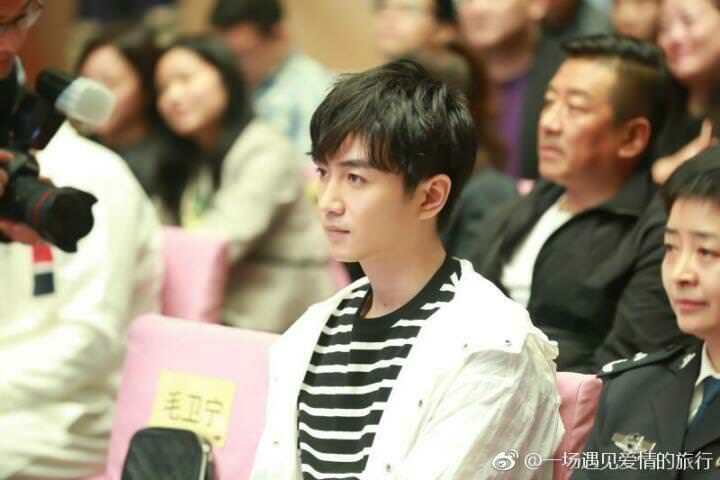 Chen Xiao (Nothing Gold Can Stay) plays Jin Xiaotian, an undercover cop who is ordered to shadow the heroine’s every move. They end up travelling together to the heroine’s hometown Shangri-La City, and fall in love with each other along the way. Jin Xiaotian is initially reluctant to admit his affections for Li Xinyue due to his identity as an undercover cop, though decides to tell her the truth after rescuing her from a local drug syndicate. The police are eventually able to bust the drug ring with Li Xinyue’s help, and the heroine is also able to clear her father’s name after Chu Hongfei’s crimes are publicised. The 46 episode drama features an original script (it’s been so long since I last heard that term) by Wang Yanzhen (Angel 糊涂小天使), and will be directed by cinematographer Wang Yiwei (Ode to Joy) and Wang Dian. Mao Weining (An Ordinary World) will lead the crew as chief director and supervisor. This entry was posted in Drama, Mainland China and tagged Chen Xiao, Finding Love on the Journey, Jing Tian by XDramasX. Bookmark the permalink. looking forward to this! the director is the cinematographer for Ode to Joy? ?